For a casual event, meeting, or family gathering, these glass items will be the perfect fit. 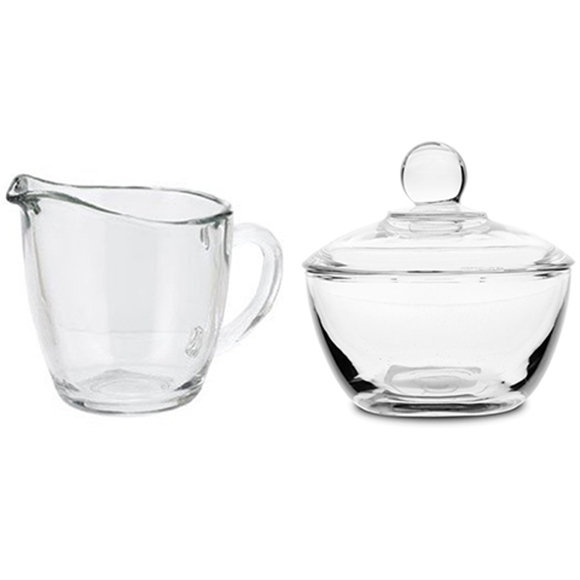 Thanks to the crystal-like clarity, you will be able to view when the creamer or sugar bowl needs to be refilled. Your guests will be able to easily see the contents as well. Each piece provides a pleasing aesthetic, and every item is simple to keep clean. Choose this classic design and make sure that your guests have access to quality serveware.